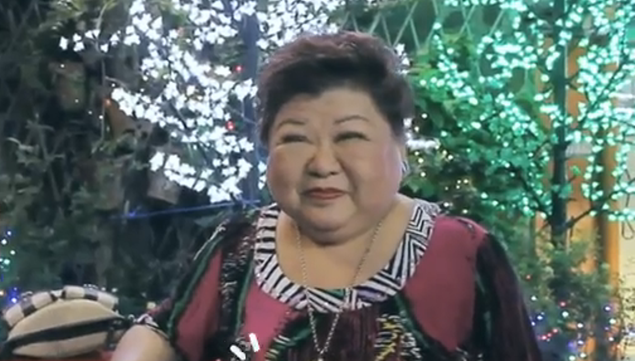 The Policarpio Street resident also spreads the joy and blessings every holiday season. Perhaps you’ve heard of the annual Christmas spectacle at Policarpio Street in Mandaluyong City, wherein houses are adorned with extravagant decors, lights, and lanterns of all sizes. What started out as a community bonding activity quickly turned into a holiday attraction, drawing crowds from neighboring cities and provinces. Norma Lim’s family, together with the Suva and Dalisay families and other neighbors, started this tradition in Policarpio Street back in 1996. And even if other families have stopped joining this annual tradition, Lim and her family continue to decorate their house every year because she knows it brings joy to people. Lim’s holiday cheer can make anyone think that she’s had it easy. But, in truth, her life was fraught with struggles, and it was her entrepreneurial spirit that ultimately paved the way for the big house with the bright lights on Policarpio Street. Lim’s parents, who were restaurant owners, died when she was still very young. Armed with her entrepreneurial spirit and P2,000 worth of abuloy (donations) from friends and family, Lim started this new chapter in her life by selling fish in the public market. The business grew and, eventually, she saved enough money to open her own carinderia. “Nagtuloy-tuloy na, ‘yun ang ginawa ko sa buhay ko,” Lim shares in an interview with the television program “May Puhunan” of ABS-CBN. Today, the entrepreneur has eight restaurants ranging from a small canteen to a fine dining restaurant, all named PVL after the initials of her only son. Lim admits that the growth of her business was fast-tracked, as she was quick in spotting a good location for her business. The seasoned restaurateur also maximizes her restaurants’ space by selling some grocery items and toys on the side. “Kaysa naman lumipat pa sila (customers) sa ibang tindahan, dun na rin sila bibili sa akin kasi kumpleto na,” Norma shares. Lim knows how to maximize time, resources, and skills, as she also owns a factory that produces “giant siopao,” a PVL signature offering, and noodles that are sold in major supermarkets. Now, the restaurateur has more than a hundred employees under her wing, with her PVL Group of Companies primed for further growth. For Lim, decorating her house on Policarpio Street is just one of the ways by which she’s sharing the joy and blessings this holiday season. “I know how it feels to be poor, so I always make sure to share my blessings. My success is a gift from God,” Lim says.